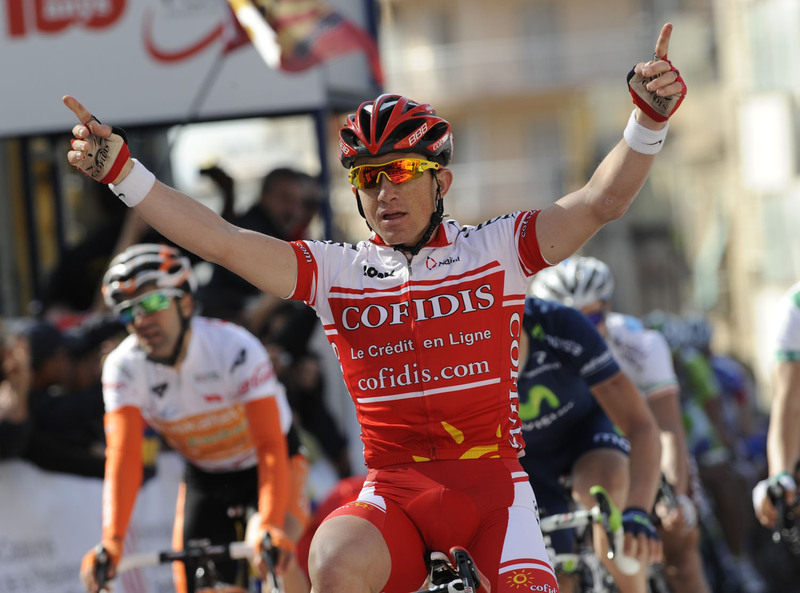 Samuel Dumoulin (Cofidis) continued French riders’ collective great run of form this season, winning stage five of the Volta a Catalunya in Tarragona on Friday. Dumoulin edged ahead of Spaniards Josa Rojas (Movistar) and Ruben Perez (Euskaltel) in the bunch finish. According to figures calculated by our colleagues on Cycle Sport magazine, French riders have now won 23 top-flight races so far this season – more than any other nation. Overall race leader Alberto Contador (Saxo Bank-Sungard) again finished safely mid-bunch to maintain his position at the top of the general classification. Contador is 23 seconds ahead of second-placed Levi Leipheimer (Radioshack) and third-placed Michele Scarponi (Lampre). Ireland’s Daniel Martin (Garmin-Cervelo) came home in 18th on the stage and remains in fourth overall, 35 seconds adrift of Contador. Earlier in the day, the sole Briton in the race – Chris Froome (Sky) – had been in a four-man escape group alongside Remi Cusin (Cofidis), Francesco Masciarelli (Astana) and Jelle Vanendert (Omega Pharma). The quartet crested the stage’s two categorised climbs – the Alt de Fatxes and Alt de Paumeres – scooping up the mountain points before heading toward the finish in Tarragona. Despite their best efforts, the escapees couldn’t keep the bunch at bay and were caught with 5km to go. After a late attack by Jan Bakelandts (Omega Pharma) was neutralised, it was all together for a bunch finish. Exhausted by his efforts, Froome came in 165th, one and a half minutes behind stage winner Dumoulin and slipped to 71st overall. Froome’s Sky team-mate Rigoberto Uran is placed sixth overall. Saturday’s penultimate stage takes the riders on a distinctly lumpy route from Tarragona to Mollet del Valles before the race finishes in Barcelona on Sunday, March 27.